There’s very few brands more synonymous with bike travel than Ortlieb. 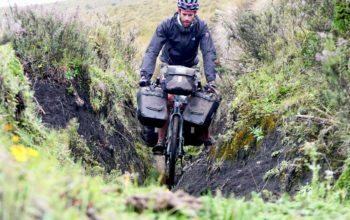 Since their first hand-sewn pannier bags back in 1982, Ortlieb have used the most high-tech waterproof fabrics available to construct hard-wearing gear that is guaranteed to last. 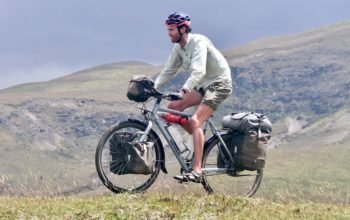 This reputation has allowed the brand to perhaps even take the market share of waterproof panniers – an impressive feat! 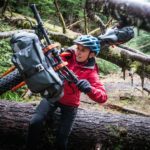 Given the popularity of bikepacking, it was inevitable that Ortlieb would produce bikepacking bags. But the question was always, when will they come to play? 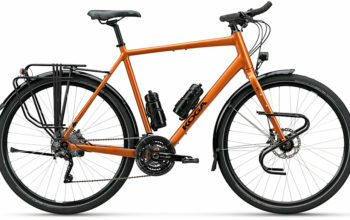 Well, they are now ready to play in the form of a new waterproof handlebar pack, seat pack and frame bag – the core luggage for any bikepacking setup. The best bit? Their products are available… right now! The most impressive product from the new bikepacking range has got to be the seat pack. It is positively huge, filling to 16.5 litres and making it bigger than almost any saddle bag out there. The shape is a bit different too; it tapers from a narrow profile at the seatpost and opens wide at the back. This allows for maximum thigh clearance at the seat. 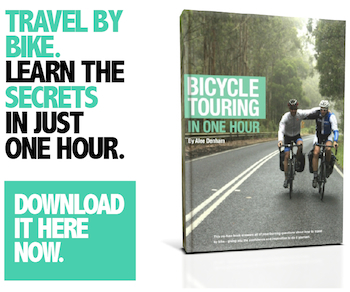 If you’re packing light, you can easily roll the seat pack right down to 8 litres. A small grey purge valve is built into the bag which you can open and close when you need to add or empty air (that’ll make for some tight packing). The seat pack is not the lightest available, but at 430g it’s no porker either. It can be had for US $160. 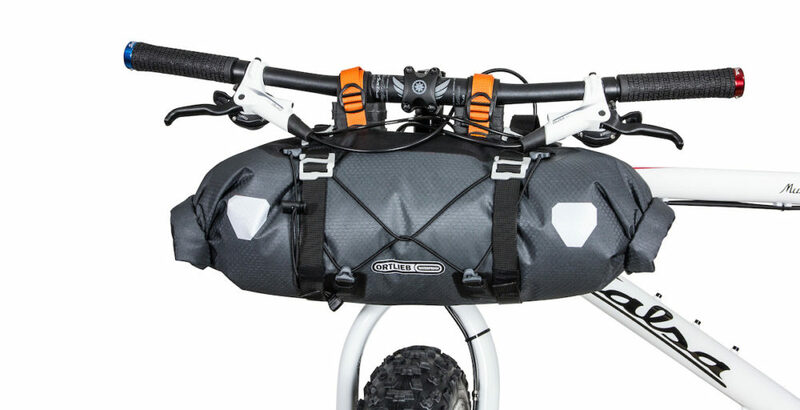 The handlebar bag is not too dissimilar to other roll-design bags. The two-way roll closure gives you access from both sides and the reflective patches will have you seen from vast distances. 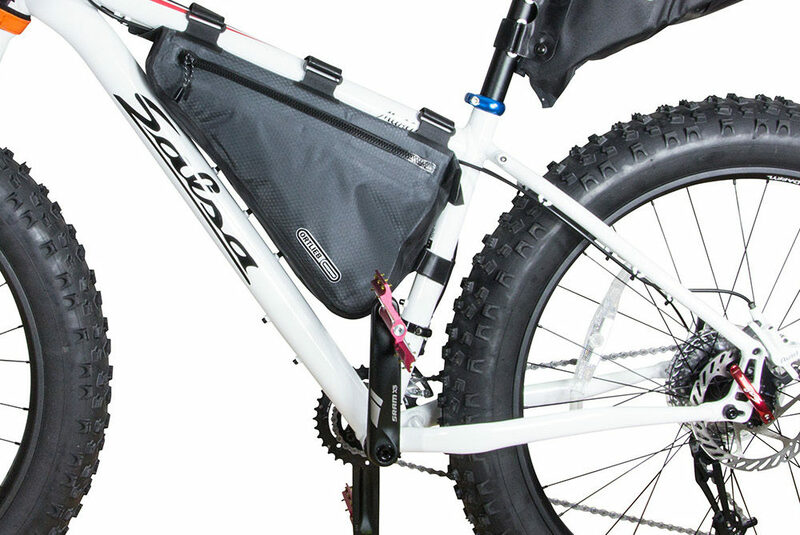 Although similar to other bags in many ways, the mounting is especially neat on the handlebar pack. High density foam and a plastic strut space the bag away from your bar. A velcro strap wraps around the handlebar, with the underside coated with rubber to prevent movement on the bar. A heavy duty clip strap then holds everything firmly in place. 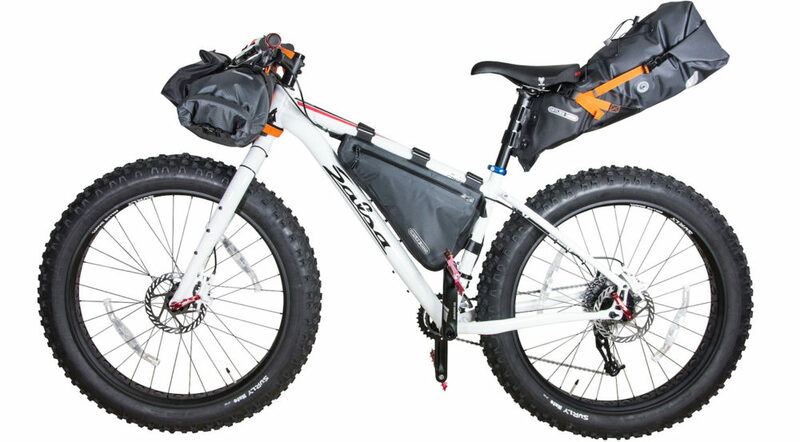 Down a bit lower, a velcro headtube frame strap triangulates the bag further. This bag works out a little bit heavier than other bags at 417g, and can be purchased for US $135. The Accessory Pack attaches directly to the front of the handlebar pack and adds 3.5 litres to in overall capacity. It mounts via four webbing loops which grab onto the handlebar bag’s front clips – a super clean design really. The single front clip is a really neat feature to have on the front of your bike too! You can get this extra bag for US $75 and will add 207g to your swag. 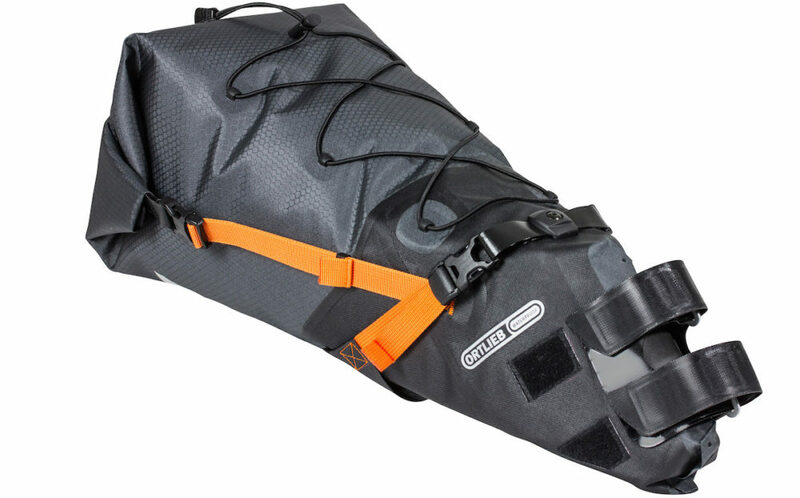 The Ortlieb frame bags will require a 6-12 month wait before it is released… I’ve heard no word as to why. 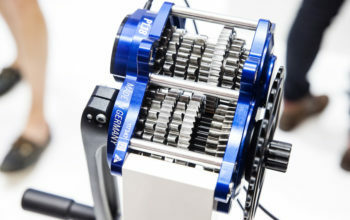 They’ll be available in both 4 and 6 litre capacities and will tip the scales at 174g and 206g respectively. I’ll let you know when you can get your hands on one. 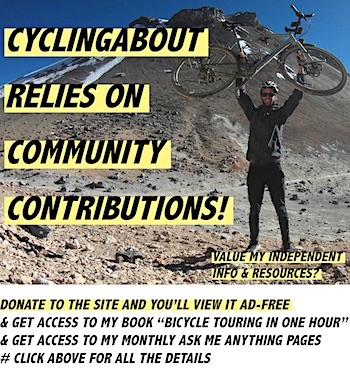 What Does This Mean for Current Bikepacking Bag Manufacturers? 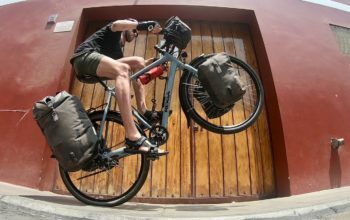 The current crop of bikepacking bag manufacturers are going to need to maintain their presence in the market. It will make sense for them to develop a point of difference between mainstream brands like Ortlieb and Blackburn, by going lighter, more custom, using the newer fabrics, or by stitching crazy patterns and colours. I’m really looking forward to the boundaries of these bags being pushed by everyone involved! 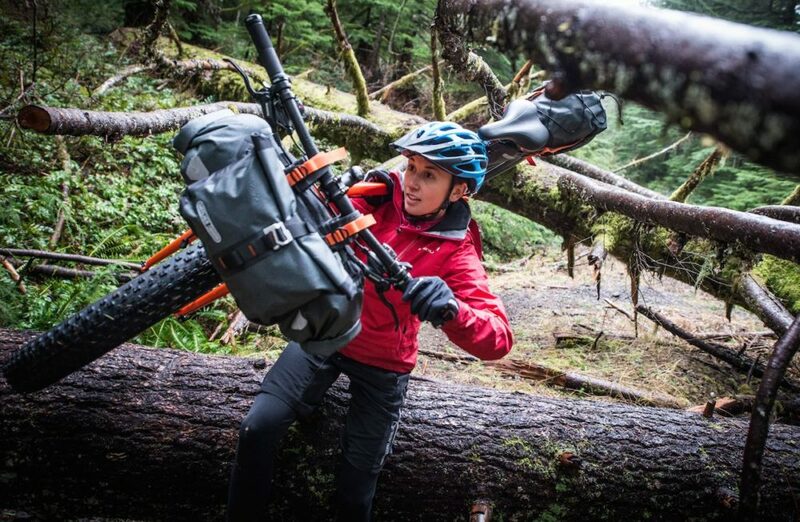 Head Over HERE for a Complete List of Bikepacking Bag Manufacturers!